Mt. Elbrus Expedition Dispatch: July 10, 2012 – Summit Success! July 10, 2012 – Summit Success! The team has reached the summit today at 2:45pm. 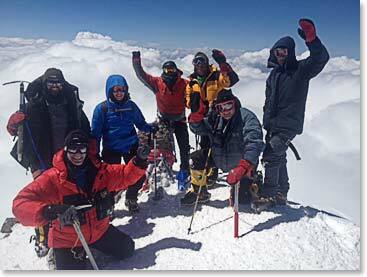 They left the Barrels at 3:45am and after a 10 hours climb they successfully reached the summit of Mount Elbrus. They are all back at the barrels for a well-deserved good night sleep.